CCC exam is compulsory for Government Employees. It is compulsory exam for full pay and higher gradation. Without passing this exam you can’t get full pay or higher gradation. Now Government has given fully permission of CCC examination to Gujarat Technological University (GTU). Now GTU has declared awaited seventh stage online registration date. Before this GTU has complete six session of exam with their results. 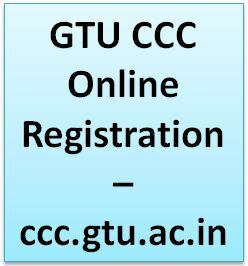 GTU CCC online Registration will start on 10th August, 2015 to 13th August, 2015. Registration starts on 10-08-2015 at 11.30 am. 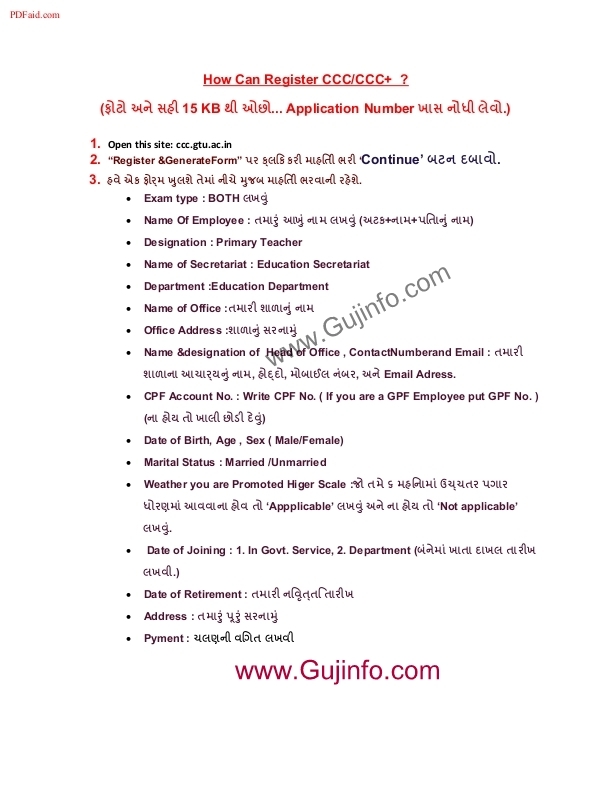 Interested Government employees can apply online through GTU official site ccc.gtu.ac.in. Candidates must do online registration for CCC exam before last date 13th August, 2015. You can edit your application till 15th August, 2015. An applicant must submit their hard copy of application, original copy of challan and photo I.D proof at GTU on or before 20th August, 2015. After opening site read the instruction. After finishing instruction there is ‘Registration’ button. Now click on the ‘Registration’ button. Then full fill the form with correct details and click on ‘Registration & Generate Form’ button. After full fill the form you have to check your details, photo, signature, application number and barcode. Now pay your exam fees through Online Payment or Bank challan. At last print out your application and challan. Then submit hardcopy of application, original copy of challan and photo I.D proof at below address. Note: Incomplete form or if you don’t send hard copy of application to GTU, your registration will be rejected. Here on Gujinfo.com we provide CCC Syllabus, old question paper with solution and other useful materials for preparation of this exam. You can download and share with all friends. For the submission of hard copy can we send through speed post?